Ceramic and porcelain tiles are commonly used in New Jersey homes today because of their high quality and durability. The tiles not only add beauty to your home, but are very versatile as well. They can be used on walls, floors, kitchen countertops and any surface that will incur significant amounts of wear and tear. As durable as they are, sometimes, the tiles are susceptible to certain kinds of damages. However, the damages can be prevented or overcome if you know a few basic tips to care for them. Sweep or vacuum your floor at least twice a week to get rid of unwanted dust and debris. Every week, use a pH-balanced cleaner specially designed for use on ceramic and porcelain tiles on your floor and tiled walls. When there’s a spillage of paint or an adhesive substance like glue, gently scrub your tiles using warm water and a non-abrasive mop or sponge. For grease and other tough stains, use a heavy duty degreaser or an alkaline cleaner to clean the tiles. For everyday stains and soils, use a neutral tile cleaner with a wet sponge. Make sure that you dry the area with a damp cloth after cleaning. For baths and other wet areas, you can reduce dirt build-up by using a squeegee along with a gentle floor cleaner. 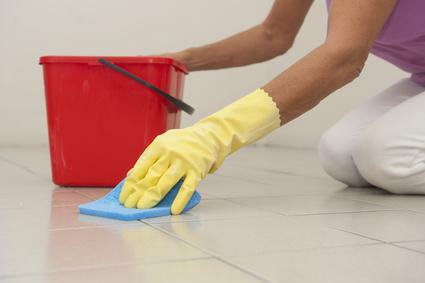 Once you clean your tiles, it is essential to maintain them to steer clear of further damage. After all, your tiles are only as sturdy as the grout used to seal the space between themselves and the wall. Once the grout starts to wear out, it is difficult (and expensive) to restore them. For this reason, make sure that as soon as you see the signs of first cracks or damage, you call a tile-restoring expert. This will definitely save time and money for you in the long run. Additionally, you must know that installing tiles by yourself is not impossible, but to keep your tiles sparking clean and maintainable, it is best to get the assistance of a reliable tile installation specialist in NJ.